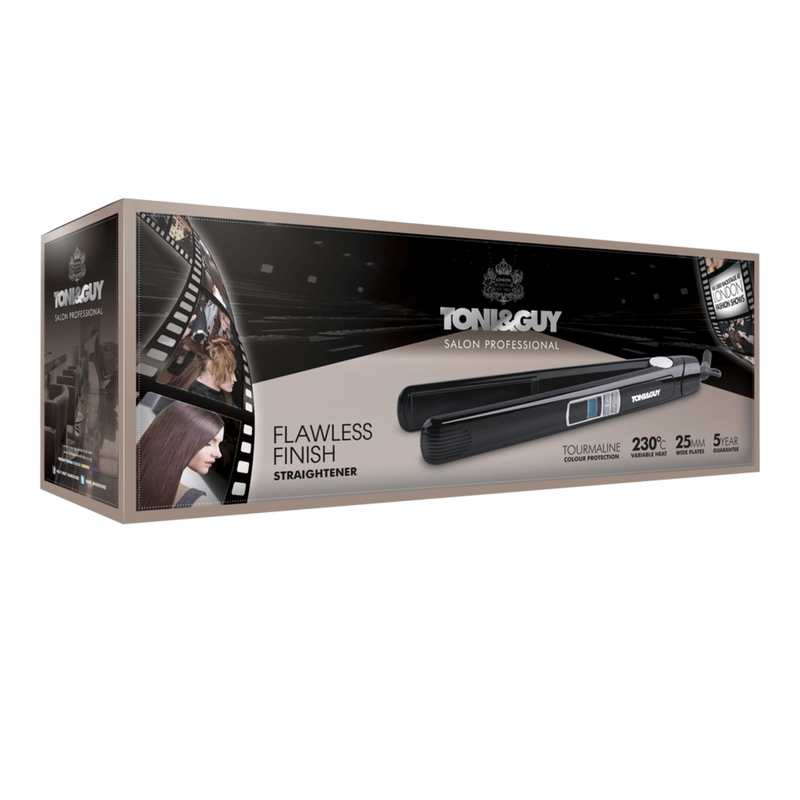 Create Classic straight hair with this Toni & Guy Flawless Finish 230 Straightener guaranteed to deliver you style worthy of the Catwalk. This professional straightener straightens with one glide through the hair, superior heater technology and 25mm floating plates result in flawless hair. 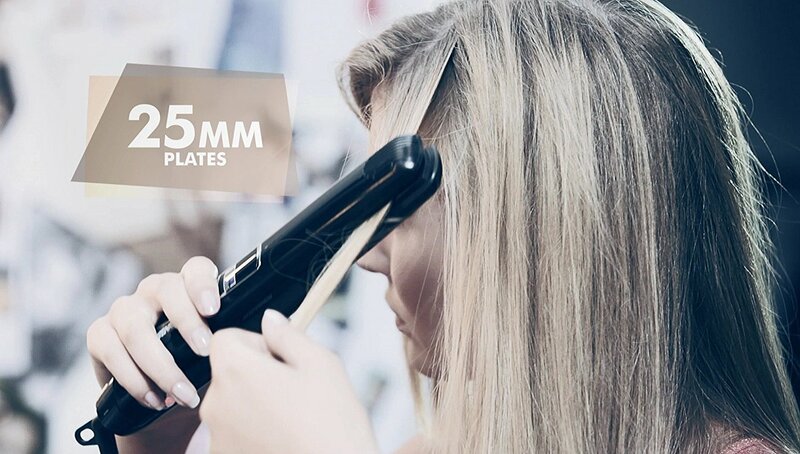 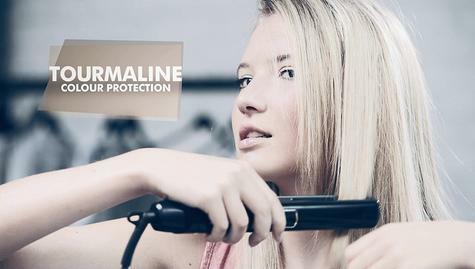 Designed to protect your hair & colour with the Tourmaline plates, its unique Colour Lock Technology is developed to enhance shine, smooth hair follicles and lock in colour as you style. 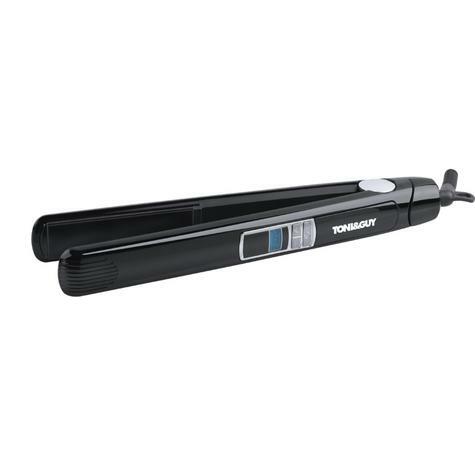 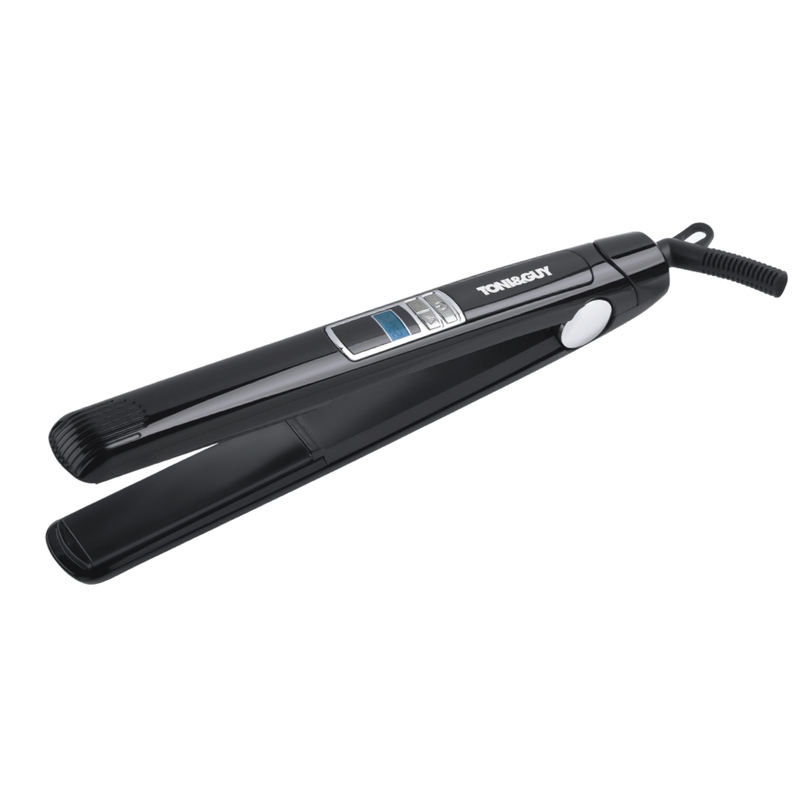 This Professional Straightener heats up in seconds with variable digital temperature controls and a maximum temperature of 230C. Salon Tested Professional Performance guaranteed, with a 3m salon length cord for ultimate styling freedom and 5 year Guarantee. For your safety this Straightener will auto shut off after 60seconds, if you forget to turn it off because you are strutting down the Catwalk. Note: This item may require an adaptor (3 UK pin plug, 220-240v) to fit the electricity supply socket in countries outside of the UK.